The Q Burke Hotel & Conference Center is completed, but has yet to open. Four days after a federal court judge in Miami gave him control over the Q Burke Hotel in Vermont, Michael Goldberg was in East Burke on Tuesday showing the property to two potential buyers. “It will be sold eventually. It’s not going to be sold right away,” said Goldberg, who was appointed by the federal court to oversee several Vermont properties involved in an alleged funding scandal. Ariel Quiros and Bill Stenger, developers of Q Burke and six other Northeast Kingdom projects funded through the federal EB-5 visa program, were charged April 14 by federal and state authorities with misusing the money and misleading investors. 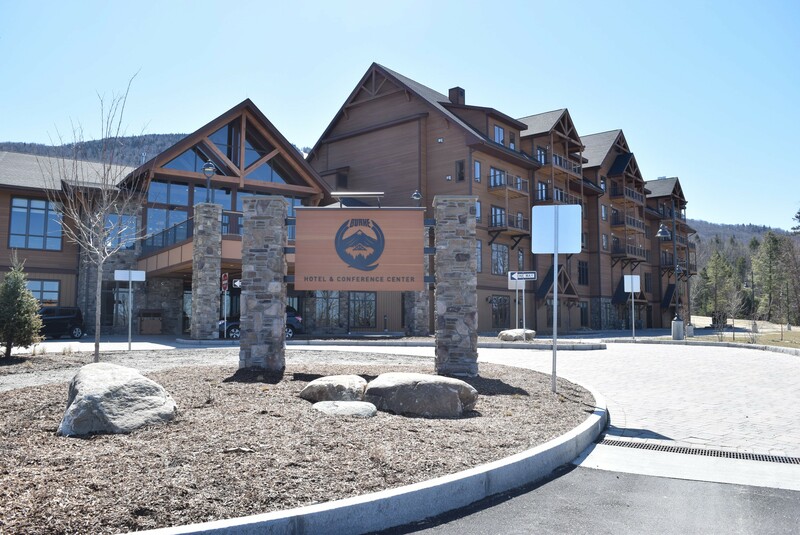 While Goldberg’s goal is to to sell the hotel, more immediate plans are to open it for business by Thanksgiving, said Steve Olson, chief executive officer of Leisure Hotels & Resorts, the Kansas firm Goldberg hired to manage the Burke and Jay Peak resorts. While Goldberg is shopping the 116-room hotel around, he’s also appealing to the federal court for money to run it and Jay Peak. In court papers Friday, Goldberg painted a bleak picture of finances at Jay Peak, describing profits as much lower than Quiros had told federal authorities. “My assessment … is that the ski resort operations are currently losing money and in danger of not having sufficient funds to continue operating beyond the very immediate future,” Goldberg wrote in court papers filed late Friday. But Goldberg said his message has been misinterpreted in the media. There’s plenty of money available to keep Jay Peak and Q Burke resorts open, as long as the court doesn’t go along with Quiros’ request to unfreeze his assets, he said. Across the Northeast Kingdom, residents are anxiously hoping that both the Jay Peak and Burke Mountain resorts keep operating while the court case unfolds. That includes the hope that the just-completed high-end hotel sitting slopeside at Burke Mountain Ski Area will open. Goldberg, speaking via frequently interrupted cellphone from East Burke, said he has three potential suitors for the hotel — two national chains and a local group. The decision to sell is ultimately up to the federal court, but Goldberg said a sale does not have to wait until the court case is settled.